We are bound by our shared belief that for-profit innovations are crucial to helping industry preserve our natural environment and support human rights. With complementary backgrounds across early-stage investing, financial services, sustainable apparel, and supply chain reform, we are diligent and thoughtful investors that back systemic change towards a sustainable future for the textile and apparel ecosystem. Karla brings 15 years of experience strengthening, scaling and investing in companies in emerging markets. She served most recently as Interim Investment Director at VilCap Investments where she led initial investments in early-stage companies in Mexico, Ghana, Kenya, & the US. She supported a portfolio of over 30 companies, cultivated new investor relationships & raised capital for the fund. She also prepared early-stage FinTech and HealthTech entrepreneurs to raise capital through Village Capital’s Mexico-based accelerator program. Prior to this, Karla was Associate Director of The Eleos Foundation, managing investments from 71 investors, into early stage social enterprises. She also worked at Building Markets in Afghanistan, supporting SMEs in post-conflict areas, the World Affairs Council, & the United Nations Sustainable Commodity Initiative for the coffee sector. Karla holds a Master’s Degree in Development Economics from University of Rome in Italy & a Certificate in Financial Management from Cornell University. Karla has dedicated her career to using business as a force for social good. Early on she developed a deep passion for reforming production practices across industries to improve working conditions & protect the environment. 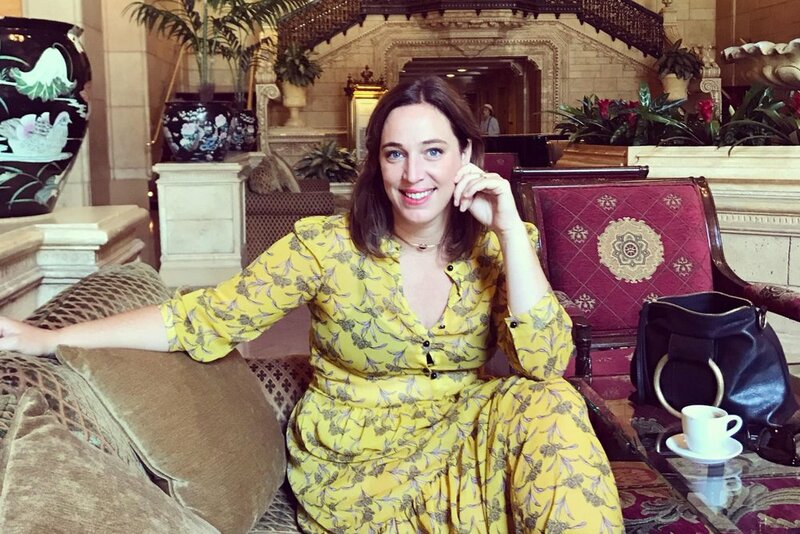 Her passion for supply chain reform, deep concern with the state of the apparel industry & her love of beautiful clothes, led her to create Alante Capital in an effort to spur innovations that can have lasting positive impacts on people & the planet. Leslie brings with her 10 years of experience working in financial institutions. Most recently, Leslie was Vice President of Sustainable Finance at JPMorgan Chase & Co. where she developed & led the Capital Strategies Initiative for Sustainable Finance in the Americas, & was involved in the management of & value creation in the Social Finance Principal Investing portfolio. Prior to JPMC, Leslie spent 7 years at Credit Suisse, primarily focused on the evaluation of Debt Capital Markets in Emerging Markets, including coverage of sovereign and corporate clients. She helped issuers in Latin America & the Caribbean raise funds in the international capital markets, managing transactions from pitch through due diligence, structuring & execution. Leslie holds a Bachelor’s of Science in Foreign Service from Georgetown University. For Leslie, Alante combines her lifelong passion for responsibly produced apparel, personal commitment to sustainable development & honed affinity for finding efficient solutions to complex challenges The textile & apparel industry is a passion of Leslie’s that is practically inherited. Her grandfather’s family owned the cotton gin, general store, & a clothing store in South Pittsburg, Tennessee. Leslie’s mother spent her career in the apparel industry & ingrained the importance of vintage, quality, & sustainable sourcing…& also taught Leslie everything she knows about shopping in souks, bazaars, & markets all around the world. 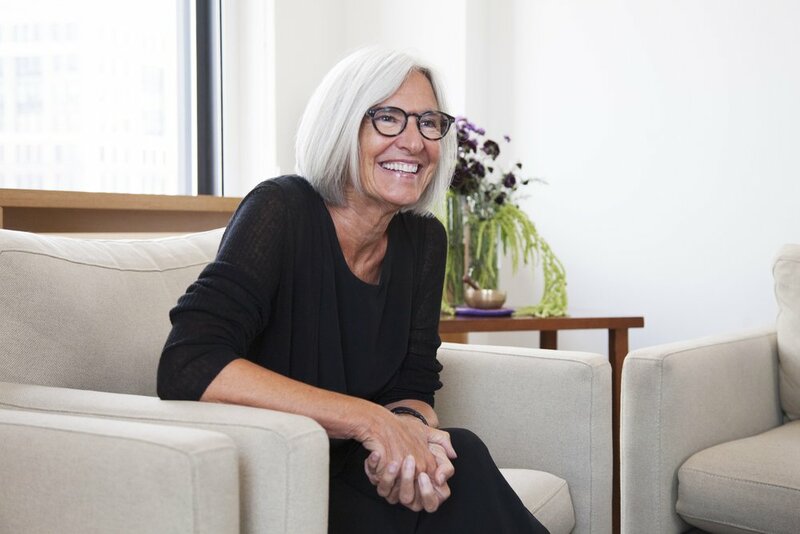 Eileen Fisher has partnered with Alante as an investor & chief advisor. She is the Founder & Chairwoman of EILEEN FISHER, INC. In 2016, the company became the largest women’s fashion organization to be certified a B Corporation, having met high criteria for social and environmental performance, accountability and transparency. EILEEN FISHER is the largest B Corp in the state of New York. In 2015, the company announced VISION2020 a bold 5-year plan that addresses sustainability and human rights. In keeping with Eileen's belief in collaboration, VISION2020 calls for co-leading with other brands to transform the fashion industry. Given Eileen’s commitment to the development and growth of the whole person, she recently launched LIFEWORK - a personal transformation initiative that invites participants to explore purpose, mindfulness, and embodiment through a variety of online and in-person workshops and events. LIFEWORK programs are offered to company employees, business organizations and the public. In 2017, Parsons New School of Design honored Eileen at their annual gala for her work in sustainability. Eileen was selected to join the Steering Committee for New York State's Inaugural Council on Women and Girls. Launched by Governor Andrew Cuomo, the committee was formed to ensure that government policies and programs protect women's rights and equality advancement in the state. Eileen was presented the Force for Good Award by the Committee Encouraging Corporate Philanthropy (CECP) in February 2016. She is a 2012 inductee into the Social Venture Network Hall of Fame. Alante is committed to the values of communication, transparency, and partnership. To ensure these values are upheld in all of the work we do, Alante relies on a spirit of teamwork. Headquartered in Santa Barbara, CA, Alante also has an office in New York City. With a small, remote and bi-coastal team, Alante provides a flexible and progressive work environment, with offices located in two great co-working spaces, and flexible travel between both locations.